Slip and fall accidents can result in many different injuries, from bone fractures to permanent disability. Such accidents do not have to be cases of someone actually slipping – this phrase refers to any instance of a person falling on someone else’s property for any reason. This type of accident is especially dangerous to the elderly and are often the result of nursing home and elder abuse. Slip and fall accidents can result in permanent injury disability, and even death. If you or a family member have suffered an injury as a result of being involved in a slip and fall accident, don’t hesitate to contact The Mitchell Law Firm, LLC for a free initial legal consultation. Premises liability laws come into play in slip and fall cases. Premises liability refers to the legal responsibility that property owners have to provide a reasonably safe environment for visitors. This includes preventing, detecting, and fixing hazards as well as warning visitors of known dangers on the property. For example, if a property owner was aware of an uneven sidewalk but did not take steps to remedy the situation, he or she may be responsible if someone trips on the sidewalk and falls. Not all slip and fall accidents point to property-owner negligence – normal weathering may have caused the hazardous condition or the owner may not reasonably have been able to foresee a hazard in time to remedy the situation. To have a case of premises liability, the victim has to prove the property owner knew or should have known about the unsafe condition, failed to remedy it, and an injury was the result. Slip and fall cases are the most common type of premises liability claim in Alabama. Due to a high number of false slip and fall claims, the courts place more requirements on a plaintiff than in other types of negligence cases. Plaintiffs must prove the defendant (the property owner) had notice or reasonably should have had notice of the unsafe condition at the time of the accident. This can be difficult to prove and often takes an investigative team to gather evidence to prove the owner should have been aware of the hazard. Sometimes slip and fall accidents are the responsibility of the property owner, but sometimes they aren’t. As visitors to a property, we have an obligation to pay attention to where we’re going and exercise reasonable caution. 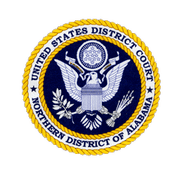 In Alabama, we follow a Pure Contributory Negligence Rule, meaning a plaintiff cannot collect compensation from a defendant if the plaintiff was in any way responsible for the accident. Most states have moved to the Comparative Negligence Rule, which allocates percentages of fault between two parties to determine compensation. Alabama, however, will not grant an injured victim any compensation if he or she partially caused the accident. Alabama’s rule affects slip and fall victims, since they must prove they were not careless. If a more careful person would have noticed a spill and avoided it, the jury may rule the property owner not at fault. Falls are the second most common cause of accidental injuries in Alabama. Falling injuries are also the leading cause of accidental death for Alabama residents over the age of 79. Alabama medical centers and hospitals treat injuries including broken bones, cuts, spinal cord injuries, traumatic brain injuries, and other serious wounds from falls. In the United States, falls account for over eight million emergency room visits and are the leading cause of workers’ compensation claims and missed days from work. Alabama residents need to know how to approach a slip and fall injury case. A fall on public property will mean suing the local government or municipality responsible for maintaining the area. Private home and business owners need to ensure their properties are free from slip and fall hazards or they risk absorbing liability for any resulting injuries. In some slip and fall cases, a plaintiff may face multiple defendants in a personal injury lawsuit. Premises liability, negligent security, and even interpersonal violence can lead to slip and fall claims against multiple defendants. While slip and fall injuries can happen on public or private property, they are also very common in many workplaces. Industries like construction, distribution, transportation, and others all carry a risk of employees suffering falling injuries. There were 70 fatal work-related injuries in Alabama in 2015, ten of which happened due to slips, trips, and falls. Some slip and fall incidents happen due to failed security measures. Security guards, bouncers, and other security professionals have a legal duty to maintain a safe environment for guests, patrons, or visitors to their places of business. While this is a broad definition that is open to interpretation, it places a duty of care on security professionals to prevent harm to the people they supervise. If a security guard or bouncer must remove an individual from a premises, he or she must do so in a reasonable manner without causing injury to the individual. Slip and fall lawsuits can result from negligent security in many ways. For example, bouncers who work at bars and nightclubs may need to use physical force to remove unruly or overly intoxicated patrons. These individuals have a duty of care to prevent potentially dangerous intoxicated people from harming other patrons, but they must also take care to avoid injury to anyone they must handle. If a bouncer throws an inebriated person, pushes, pulls, or otherwise causes the individual to slip and fall, this would probably qualify as negligent security in court. “Security” may also refer to a building or property’s safety features. For example, a hotel guest attempts to descend a flight of steps with a broken light. The guest slips and falls due to poor visibility and suffers an injury. The court will likely find the hotel liable for negligent security for allowing an unsafe condition to persist on the premises. However, it’s important for potential plaintiffs in similar situations to take the State’s Pure Contributory Negligence law into account for slip and fall lawsuits in Alabama. It’s important to remember that for the courts to rule in the plaintiff’s favor in a slip and fall case, the plaintiff must prove the property owner’s negligence. Proving negligence is the most difficult part in any personal injury case and is especially difficult in slip and fall cases due to the strict requirements for plaintiffs. To win compensation in a slip and fall case, you need an expert local Birmingham, AL slip and fall accident attorney. The Birmingham personal injury lawyers at The Mitchell Law Firm, LLC, has extensive experience handling slip and fall and premises liability cases in Birmingham and beyond. Depending on the circumstances of your accident, you may be eligible to obtain compensation through the property owner’s liability insurance. Our Birmingham slip and fall lawyers will tell you up front what we believe your chances are of winning and give you honest, realistic case goals. To begin your Alabama slip and fall lawsuit, contact us for a free initial consultation.